Here is one that plays even better today, a rare African-American family ensemble drama set in the Southern Gothic 1960’s. 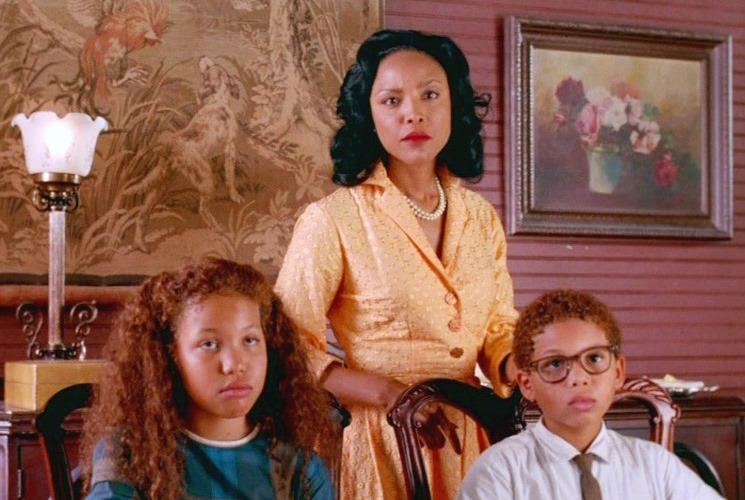 Eve’s Bayou (1997) plunges into the Louisiana backwaters so vividly that immediately we feel like we are seeing something fresh. Samuel L. Jackson is the popular community doctor who lives with his wife and children in an attractive home by the bayou. He’s too popular with the ladies, which causes friction with his wife and her kinfolk, and spurs jealousy between his daughters because one is more favored than the other. The narration over the first scene of the movie promises, of course, that Eve will commit a fateful act by the end of that hot Louisiana summer. The themes are loaded topics: supposedly happy relatives nevertheless addicted to “family drama,” the strain of infidelity that runs trouble through the household that cause sibling rivalry and discord between daughters and mother, and general secrets and lies. Here’s a droll side note that just drummed up in my head: The year before this film came out, in 1996, the British film “Secrets & Lies” was the most acclaimed film of the year (while it has its’ tart moments, it’s very kitchen sink drab in retrospect). 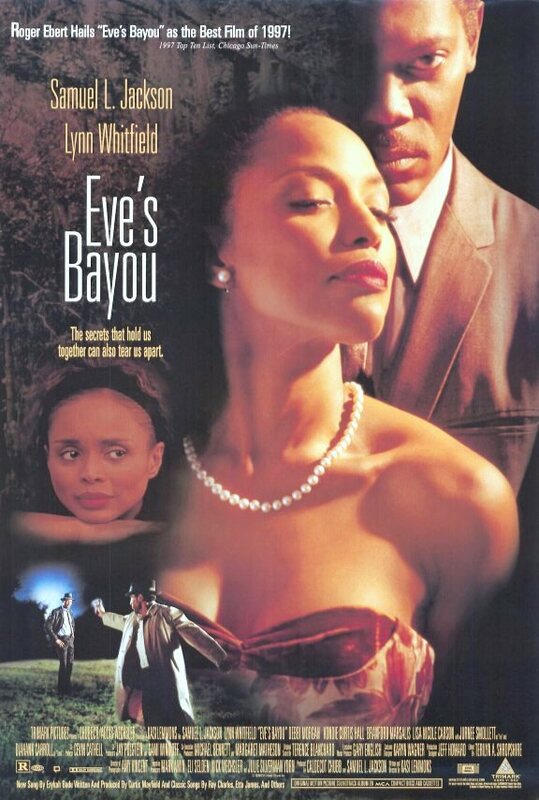 Twenty years later, nobody cares about that one and movie fans today are discovering “Eve’s Bayou” which was comparably overlooked in its time. Yes, the story does delve into far-fetched hokum with voodoo and psychics that have premonitions of tragedy and catastrophe that is telegraphed for us before the plot gets there (keep in mind, there are always hooks and tricks to these things too). But with hindsight, wouldn’t there be a lot of working class psychics and mystics working these areas in that time period, too? Whenever it goes too far with this gimmick, you still can’t say the film doesn’t ooze with atmosphere. It was quite a feat by first-time filmmaker Kasi Lemmons (Lemmons was once an actress who went on later to direct “The Caveman’s Valentine” and “Talk to Me,” both of which I recommend) to have made a torrid family drama about affluent African-Americans in a period setting no less, one that is visually glistening, with richly diverse characters of class and profession, to have put Jackson on-screen as a womanizer and yet put the narrative within the prism of a female point-of-view, and have nodded to the style of Tennessee Williams but still retained its own singular voice. Lynn Whitfield is the matriarch projecting fake self-confidence and authority, dwelling in surface elegance, but it’s all veneer. It’s a terrific performance of a woman who nearly has it all, but doesn’t. The girls that drive the story are splendid, too, starting with Jurnee Smollett as Eve and Meagan Goode as the 14-year old Cisely who will not only protect her father under all circumstances but ready to make any other person suffer who blasphemies his name. The story only blows up into bigger dimensions as it goes along, because you wonder the hows’ and whys’ as to the sins we know Eve will commit. The girls love each other, too, and they are each others’ anchor, but this is the kind of story where the slightest misunderstanding between them can result in blow up tumult. 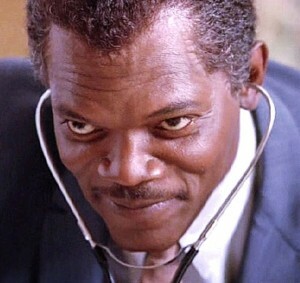 It’s crucial that Jackson is as prosperous and suave this believably. For all his character attributes, he is unkeenly aware to how his behaviors stir the pot of secrets and lies that besiege his family. It’s another underrated Jackson performance, in a career full of them. In this case, we know why his girls are drawn to him, and also as to why they compete so jealously for his approval. “Eve’s Bayou” is a tragedy, but it is inevitable. It had to be. Film Cousins: “The Color Purple” (1985); “Crooklyn” (1994); “Black Snake Moan” (2006); “The Great Debaters” (2007). Sean Chavel is a Hollywood based author and movie reviewer. He is the Executive Director of flickminute.com, a new website that has adapted the movie review site genre by introducing moodbased and movie experience based reviews.